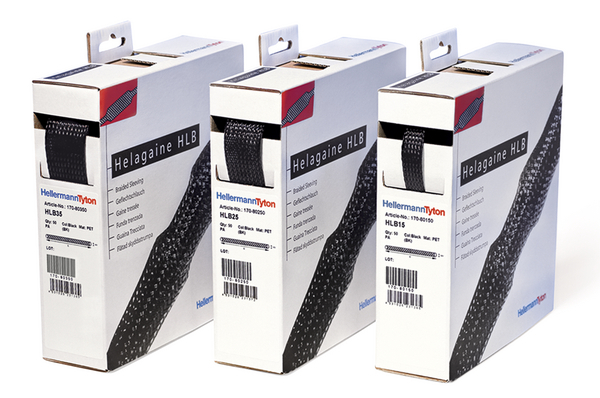 Helagaine HLB is supplied in practical dispenser boxes and covers a wide range of applications with only a few sizes. It is ideal for both the professional and the home user. Helagaine HLB bundles and effectively protects cables and wires, for instance in HiFi systems and in industrial plants. Helagaine HLB also provides good resistance to abrasion. 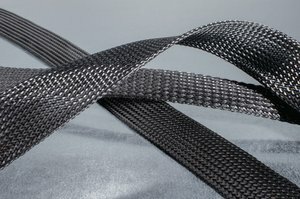 Application 2 The braided sleeving range is suitable to protect many types of wiring installations. 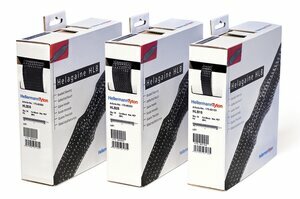 Helagaine is available in three main versions;HEGPA66 (PA66), HEGP (PET) and HEGPV0 (PBT). These have been widely used in mass transit, plant construction and aerospace industries. Features and Benefits Helagaine Braided Sleevings are strong yet light-weight and can be expanded to cover a wide range of applications. Large differences in diameter, for example when covering cable jacks and connectors, can easily be accommodated. HLB is a specially packaged PET braided sleeve in practical 10m boxes.